Our “Serving New York Awards” recognize the extraordinary efforts of New York State’s broadcasters in serving the public interest every day. 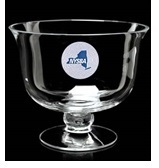 The awards will be presented at regional lunches which are free to all NYSBA members in good standing. Submit no more than a one or two paragraph description of your public interest program or campaign. In addition, please submit any social media postings you may have. It may be an on-air or an off-air campaign. If it is an on-air public service campaign, please include a link to the video or audio in your email. Please send to ddonovan@nysbroadcasters.org. REGISTER TODAY ON THE NYSBA WEBSITE HERE. Go to the key word search and type in the regional “Serving New York” luncheon location you want to attend.